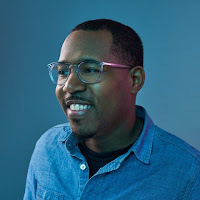 Kidliterati was thrilled to interview Alvin Irby, author and founder of Barbershop Books. Read on to learn about this amazing program. Thanks for talking to Kidliterati today. We love the Barbershop Book project. Can you tell our readers a bit about the program? Barbershop Books is a community based literacy program that creates child friendly reading spaces in barbershops and provides early literacy training to barbers. The mission of the program is to help young Black boys identify as readers by connecting reading to a male centered space and involving men in boys’ early reading experiences. Why did you choose the barbershop setting to connect readers to books? It was inspired by an experience I had while teaching first grade in the Bronx. There was a barbershop across the street from my school, and one day I was getting a haircut. One of my first-grade students walked into the barbershop and just sat there for 15-20 minutes doing nothing but stare out the window. I was thinking to myself, he should be practicing his reading right now! I wish I had a children’s book to give him so he could read while he waits. Being an early childhood teacher and a Black male who understood the cultural significance of Black barbershops was the perfect storm to inspire Barbershop Books. Barbershops are cultural centers in many communities of color. A lot of young Black boys go to the barbershop once or twice a month. Some of the boys see their barbers more than they see their fathers. 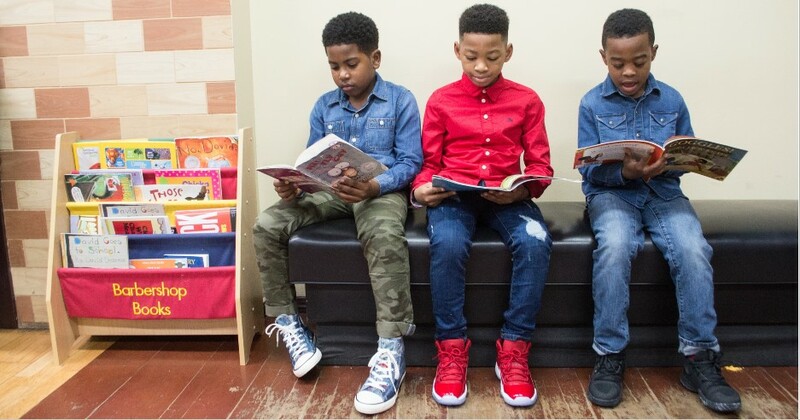 So, it seemed natural to leverage the cultural significance of the barbershop and the relationship barbers have with young Black boys to help boys identify as readers. When you think about Barbershop Books you may think we’re focusing on kids’ reading skills. But that’s not our focus. Our goal is to cultivate the reading identity of young Black boys. We want to create a positive reading experience that will inspire Black boys to say, I’m a reader! We believe if we can cultivate a positive reading experience boys will want to read for fun. Can you share with us a Barbershop Book success story? A retired Washington DC teacher heard about us and asked if we had any Washington D.C. sites. We told her we didn’t have any yet, but certainly wanted to launch the program in D.C. at some point. She asked us what needed to be done to get the program started in her city and we explained that someone would need to identify barbershops interested in participating and pay for the reading spaces for each location. Over a two-month period this retired school teacher found and funded five barbershops in Washington D.C. She also sent us pictures of little boys reading in the participating barbershops. It was truly amazing. This experience helped me understand the power of Barbershop Books to inspire civic engagement. What has been the program’s biggest challenge? Our biggest challenge has been capacity building and securing funding. At last count, we are in 112 barbershops, 28 cities, and 17 states. But we would like to grow and expand. To do that we need funding. We also need money to maintain book subscriptions for all the barbershops we are currently in. When someone funds a reading space they get an initial set of books, but after a year we would like to refresh these books and send new titles. Securing capital is important to expand into new barbershops as well as maintain our existing locations. What’s the most important thing Barbershop Books needs right now? How can our readers help or get involved? Right now, we are looking to expand into twenty target cities. We need community partners like churches, school districts, and local nonprofits to assist with the identification and outreach to barbers. Lots of people in these challenging times want to make a difference for children who need it most. Barbershop Books definitely provides an important opportunity for civic engagement. You can also sponsor a space in a local barbershop. If you purchase a reading space, we will ship it to any barbershop in the United States, regardless of the demographics of the customers. If you’re interested in sponsoring a reading space or donating to Barbershop Books you can find more information by visiting the Baberbershop Books web page. In your opinion, how successful has the #WeNeedDiverseBooks program been in promoting diverse books to kid readers? It is an important movement that is doing great work. The publishing industry has a long way to go. Despite the presence of a few amazing books, most of the children’s book titles that feature Black male characters focus on serious topics like slavery, civil rights, or biographies and those aren’t always the books that Black boys want to read for fun. I have found that many young boys want to read funny or silly books like DIARY OF A WIMPY KID, FLY GUY, and CAPTAIN UNDERPANTS. Those are titles that engage our target population. I was at ALA recently, and I was walking around looking at books with Black protagonists. The books were almost entirely limited to oppression narratives: slavery, civil rights, biography, slavery, slavery, civil rights, slavery. My mantra for February’s Black History Month: I want little Black boys to have the freedom to read books that are not about freedom. Tell us a little bit about your book GROSS GREG. 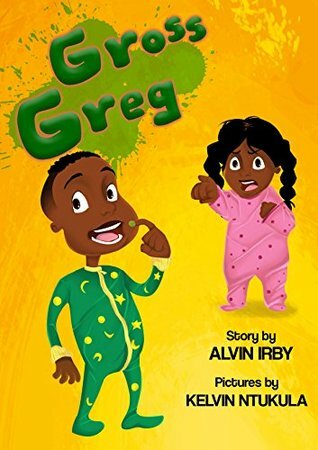 Does Greg really eat boogers? Oh, he definitely does! Gross Greg doesn’t call them boogers he calls them delicious little sugars. GROSS GREG was inspired by my two passions: stand-up comedy and early literacy. As a kindergarten and first grade teacher I was frustrated with the lack of humor books. If you ask any person familiar with early childhood education what books young boys prefer to read, they’ll tell you funny books. But I’ve sat in a room with publishing professionals and challenged them with a simple question: can you name two laugh out loud books that feature a Black protagonist? Crickets in the room. Black boys deserve the opportunity to laugh and be children just like everyone else. Books I see out there now emphasize overcoming oppression or celebrating difference. These books are important but they shouldn’t be the only books that feature children of color. Sometimes Black boys just want to laugh – like all other children. That’s what inspired me to write GROSS GREG. Thank you, Alvin, for talking to Kidliterati about this important and wonderful program and inspiring young readers. To learn more about Barbershop Books, sponsor a barbershop, or make a donation visit the Barbershop Books webpage.